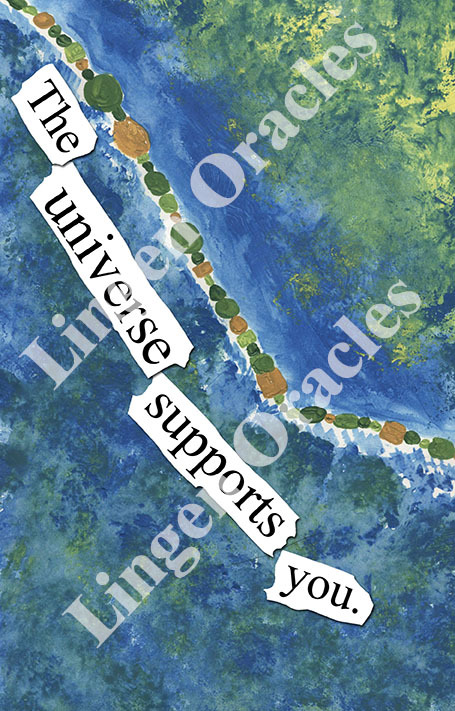 lingen oracles | "Help yourself to some happiness!" 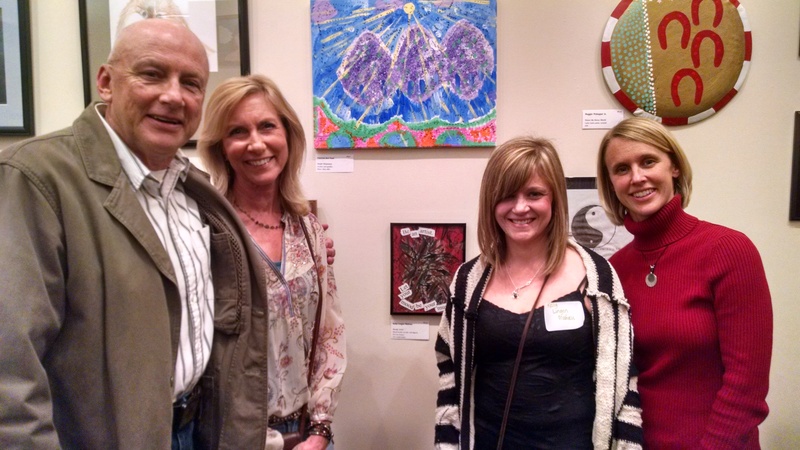 Last year’s Healing Art Show through NAMI was a huge success! It took place at Lakeside Street Coffee House in Madison, Wisconsin, and it was nothing short of a festive event! Food, live music, lots and lots of art, and a big turn-out made for a very special evening, indeed. My print, entitled Manic (Mixed-State) was featured at the show, and two additional prints from the same series (Euphoric and Angry) were featured in the 2017 NAMI Healing Art Show Brochure. I’m really looking forward to the 2018 show, waiting to hear back if the work I submitted will be featured. Fingers crossed! More photos from last year’s event with some of my favorite supporters! One of my best friends – Mike! After a long hiatus Lingen Oracles is kicking it into high gear! With the NAMI Healing Art Show on the horizon and some big projects finally getting wrapped up, you’re going to be seeing some exciting things here, this year. A print from my new deck was featured at the Healing Art Show in 2017, and the entire deck and guidebook entitled Mood Mani-acts is scheduled for release this fall (2018). Choose to focus on the positive things today! Have you ever noticed that when you ruminate on negative situations or obsess about all of the little things that seem to go wrong in your life that things just continue to get worse? This snowball effect can work the same way in reverse! When you focus on the good things that are happening (especially the smallest things), you automatically manifest happiness. 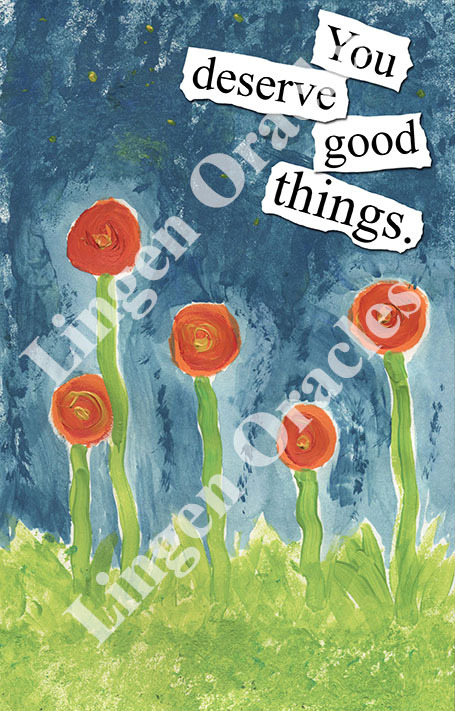 Be grateful for the things that make you smile – focus on the positive! 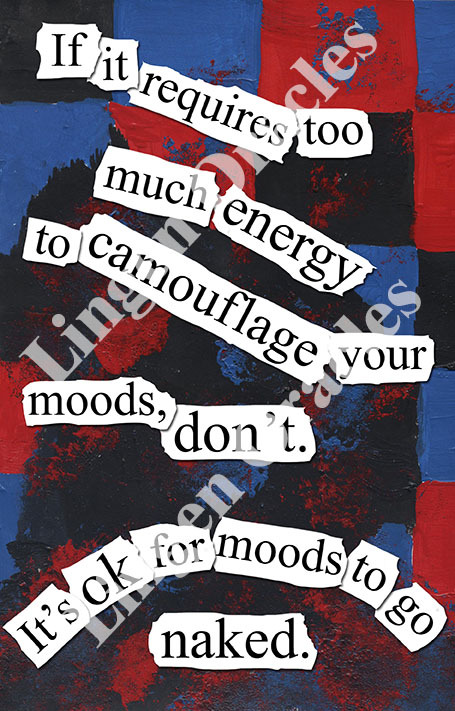 Do you ever use the word moody to describe how you’re feeling? If not moody, maybe you might say something like, “I’ve been feeling overly emotional lately…” or something to that effect. The words mood and emotion are often used interchangeably, and while they are similar, it’s important to note that they actually have slightly different meanings. For starters, a mood lasts longer than an emotion, sometimes as long as several days or even weeks. Emotions are brought on quickly, caused by someone or something. An emotion can be sparked by a memory, a song, a surprise, a loved one – anything that causes happiness, sadness, fear, worry, joy, anger – you name it. While emotions are brought on by people, places, memories, – things of that nature, moods are often instigated by situations. Stress, fatigue, and hard times can easily put someone in a slump. When things are going well, positive moods settle in and take up residence. In addition, moods and emotions occur at the same time. You might wake up feeling happy and still experience an emotion at work or school because you were triggered, and that emotion might be gone as quickly as it arrived. It happens all the time. Emotions come and go, moods can be more stubborn. Moods are often harder to shake – especially those bad ones. Moods and emotions can be difficult to understand sometimes, and it’s not uncommon to feel like you’re on a roller coaster filled with twists, turns, and upside-down loopity-loops when it comes to them. If you want to get a better understanding of your own moods and emotions, pay close attention. If you start to notice a negative shift or something you want to change, look for ways to lift yourself up. Having some awareness can make all the difference. There’s no denying the strong connection that lies between art and the emotions. Just think of the countless paintings, sculptures, and other monumental works of art that have been created to pay tribute to a loved one, to forever capture a memory, or to express something words simply couldn’t. 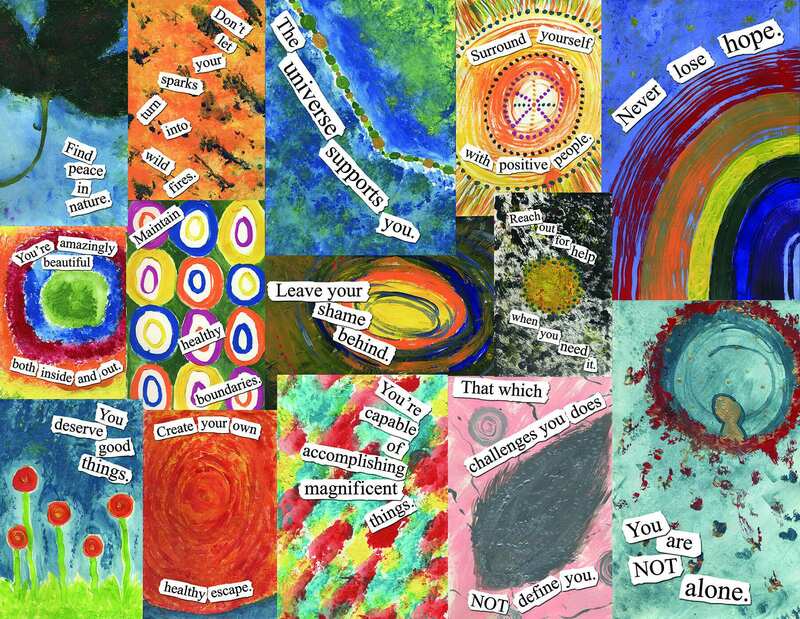 Art is, in fact, an excellent way to express feelings, to release emotions, and even more – to promote wellness in the mental and emotional bodies. When you’re healthy and balanced mentally and emotionally, every aspect of your life automatically improves. If you’re wondering how you can incorporate art into your life to feel happier, reduce stress, balance your moods, and be an overall more positive person, read on. It’s a lot easier than you might think. And don’t worry – you don’t have to be Picasso to do it. 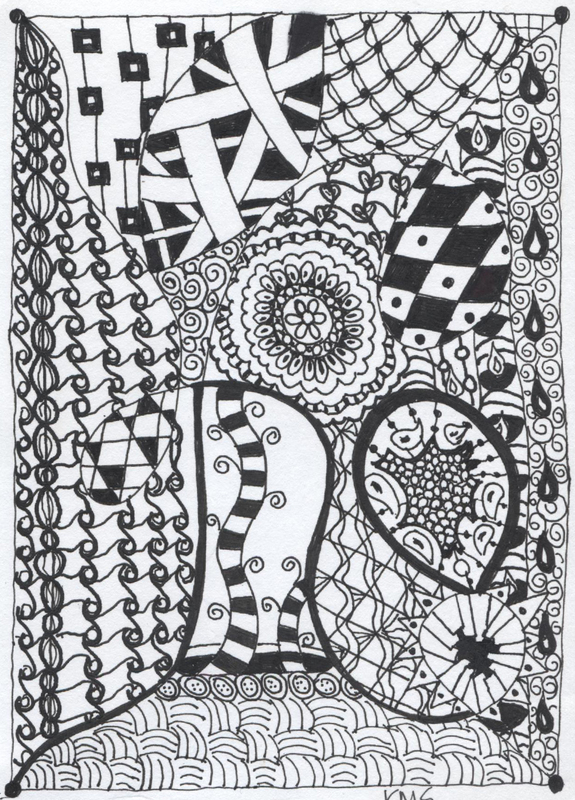 Mindful doodling is kind of like doodling while in a meditative state. Have you ever heard of Zen Doodle® or Zen Tangle®? Those are trademarked terms for mindful doodling that are becoming fairly common and trendy these days. For doodling, all you need are a few pens and some paper. Fine point art pens are usually recommended for mindful doodling, but my favorite choice is a nice, smooth gel pen. Gel pens work well on any paper, they come in a variety of colors, and they’re budget-friendly, too! For paper, I recommend buying a pack of plain, unlined index cards or you can try folding sheets of paper and gently tearing them in half or quarters. In my experience, the smaller the canvas, the better the final piece. With pen and paper in front of you, start by making a “squiggle” design. Next, make small patterns inside each section of the squiggle. See where your patterns and designs take you. For pattern ideas, pick up a book on artistic doodling. You can find all sorts of them at your local arts & crafts store or online, too. If you’re new to painting for fun and relaxation, don’t let the thought of a blank canvas intimidate you. Instead, let the endless possibilities excite you! If you already have some experience painting, choose what type of paint you’d like to use, gather your materials, dust off your palette, and immerse yourself in your art. New to the world of paint? There are 3 different types to choose from: acrylic, oil, and watercolor. With any of them, you’ll need the appropriate brushes for the type of paint you’ll be using, an assortment of paint colors, a canvas (canvas, canvas board, or paper), an easel (optional), a cup of water for dirty brushes, a palette, and any other accessories you may wish to use. If you’re feeling brave, experiment. There’s no right or wrong way to do this because you are doing this for you. If, however, you would like some guidance, consider signing up for a few art classes to get you started, or take a look at a couple of books or videos to get some pointers. Last but not least is coloring. Coloring? Yes! Coloring! Coloring has long been under-rated and it is finally making a comeback. You can’t walk through a bookstore these days without seeing a display table stocked to the hilt with coloring books geared strictly towards adults. These coloring books don’t feature your children’s favorite cartoon characters or toys – instead you’ll find detailed mandalas, enchanting gardens, whimsical designs, and so much more filling up the pages of these marvelous coloring books designed just for you! So pick up some fine point markers, high-quality colored pencils (my personal favorite), or old-fashioned crayons and a coloring book that appeals to you. You can color anywhere at anytime, and it takes absolutely no skill…well…it helps if you can try and stay inside the lines (but hey – nobody will fault you if you don’t!). Tip: If you have difficulty finding “me time” because you’ve got a little tribe you’re looking after, this is a great artistic hobby to pick up. 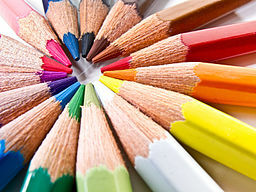 When you need a little down time, suggest that everyone get out their coloring books and you can all color together. Taking time out to reflect on your emotions and feelings is a very healthy practice. Since it’s also good to have an outlet, art is the perfect way to put two and two together. Expressing your emotions with color and technique, releasing them onto some sort of canvas – it’s a really beautiful thing. 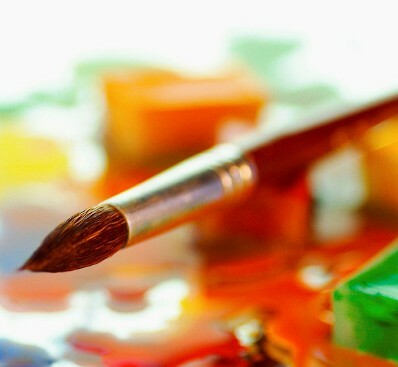 So why not give one or all of these artistic hobbies a try? With a few materials to start and some time set aside just for you, you may find that a bit of creativity and color was just what the doctor ordered. Prints are Now Available in My Web-Store! Finally! All 44 of my Bright In-sight prints are available in my web-store! Each piece is available in an 8 x 10 size, and is printed on thick, high-quality archival paper (most-commonly used for artists’ reproductions). Prints are made-to-order, so please allow 1-2 weeks (which includes shipping time) for them to arrive on your doorstep. The cost is $15 each plus $3.50 shipping. If you order more than one, shipping will be reduced for additional prints. To order, go to the “Available Prints” tab to select a print(s). At the bottom of the page, click on the “Order Here” link. It’s as easy as that! “Demons” Up for Awards – Please Vote! 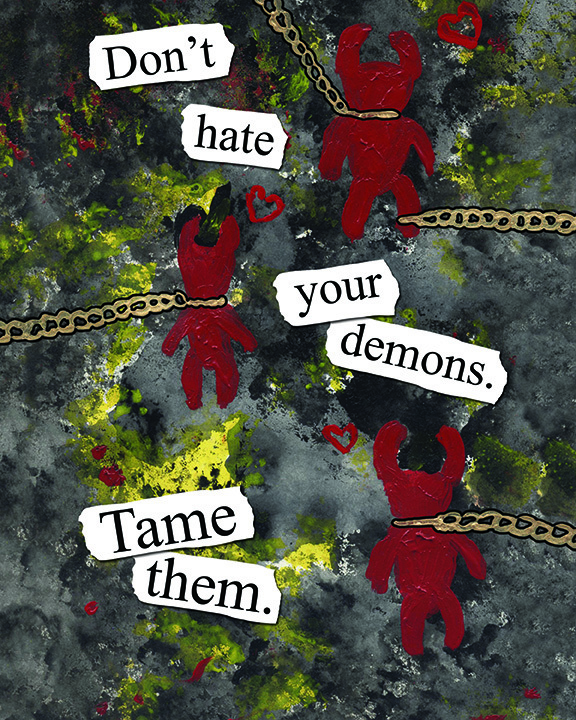 My piece Demons, which was on exhibit at the NAMI Healing Art Show, is a finalist in two categories (yay!) but the voting is still in effect until October 12th. Want to cast your vote for Demons? Visit http://www.namiwisconsin.org/healing-art-show/ If you think my piece deserves the award for its category, please vote! Thanks for your support!!! Bright In-sight Piece in the Madison Isthmus! 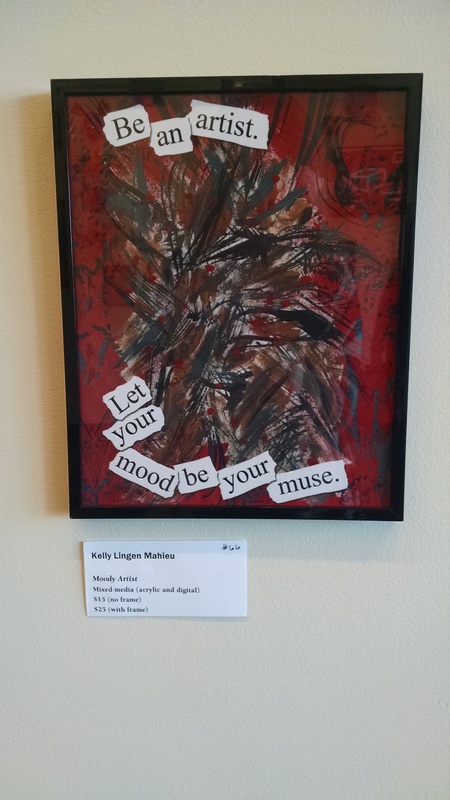 My piece entitled Moody Artist (featured in the NAMI Healing Art Show exhibit) appeared in Madison’s Isthmus, Friday October 2nd! Check it out here! Kelly Lingen at the NAMI Healing Art Show! 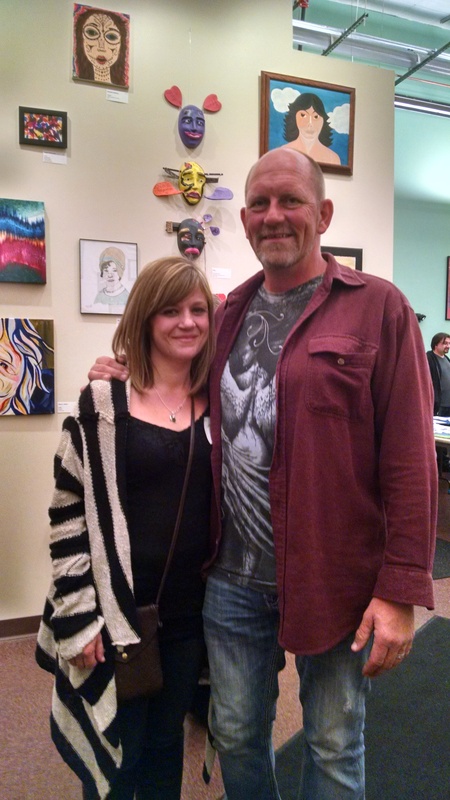 As part of Mental Illness Awareness week, NAMI of Wisconsin held its 9th annual Healing Art Show last week (10/2/15). A couple of months prior to the event, artists (professional or amateur) who had at some time in their lives been diagnosed with a mental illness could submit artwork in hopes of having it shown. 40 artists from around the state of Wisconsin were chosen…and guess what?! I made it! I submitted three pieces (clockwise from left in the pictures above: Moody Artist, Demons, Bright In-sight Collage). There were many talented artists at the show, and so many interesting, colorful, and heartfelt pieces to look at. I attended the opening night of the show with my family and we all really enjoyed it! I’m very grateful for such a wonderful experience!